Did you know that women formed Oregon’s first equal suffrage organization in 1870? It took 42 years and 5 unsuccessful campaigns before Oregon men voted to give women the vote in 1912. One hundred years later, the Oregon Women’s History Consortium is leading the effort to mark the centennial and highlight the accomplishments of Oregon women. Please join Governor Barbara Roberts and Century of Action for light appetizers at the Historic Coleman-Scott House, once owned by Leslie Scott, nephew to famous suffragist Abigail Scott Duniway. 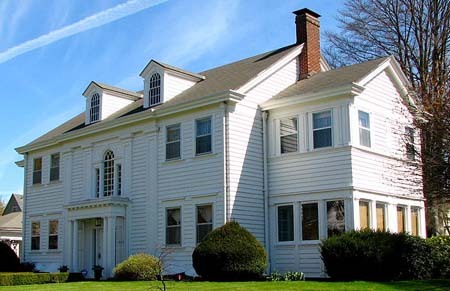 The Coleman-Scott house, a Colonial Revival Classic home, built in 1916 and designed by architect John V. Bennes is listed on the National Register of Historic Places. Sit at the desk where Harvey W. Scott, Oregonian editor and brother to Abigail Scott Duniway, penned his anti-suffrage editorials. Proceeds from the evening will benefit the Oregon Women’s History Consortium, a newly founded non-profit seeking to preserve and highlight how women have shaped Oregon. Century of Action: Oregon Women Vote 1912-2012 is the inaugural project of the Oregon Women’s History Consortium. * Thank you to the Oregon Commission for Women for their generous contribution of a portion of the wine for the event.